Here's a superb new online slot game. 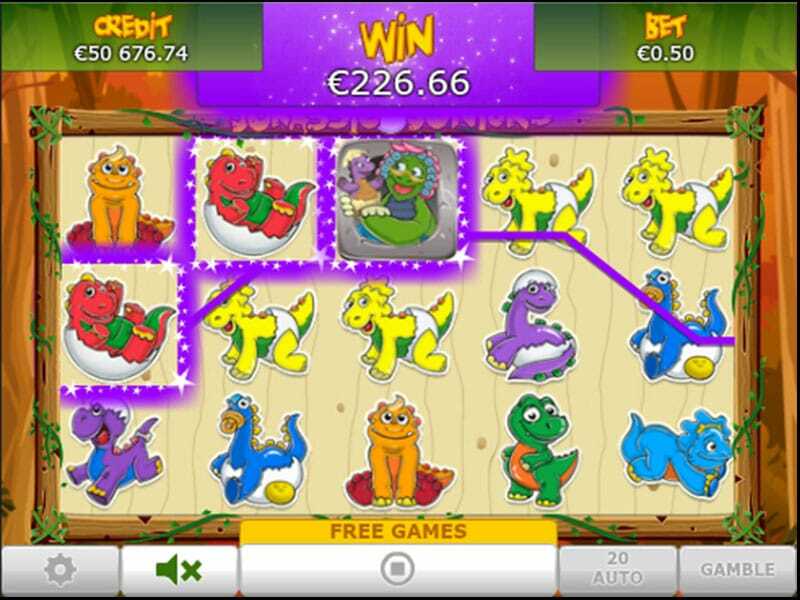 This online slot from Eyecon is a roarsome little game. Starring a gang of baby dinosaurs it’s terrific fun and despite the cartoon nature, these little creatures can win you some pretty substantial prizes. Have a look at other video slot games on SlotsBaby! Eyecon is an Australia-based software company that has been developing outstanding land-based and online games and multimedia since 1997. Eyecon has a wide portfolio of over 70 games, including its popular Fluffy Favourites. Imagine if the characters in Jurassic Park were recreated by Disney and you’ll be close to the lovable little dinosaurs in Jurassic Juniors. There’s nothing ferocious or fearsome about these cute cartoon creatures. Join them in the jungle and get spinning the 5 reels and playing on the 25 paylines. You can pick your wager by using the standard command bar and take your chance with the autospin to keep those reels spinning quick fire style. When the reels start spinning you’re hoping to get winning symbol combinations on active paylines – that’s how you’ll get your cash rewards. Jurassic Juniors paytable is cuteness personified, it’s packed with cute baby dinosaurs, some of which are worth more than others. 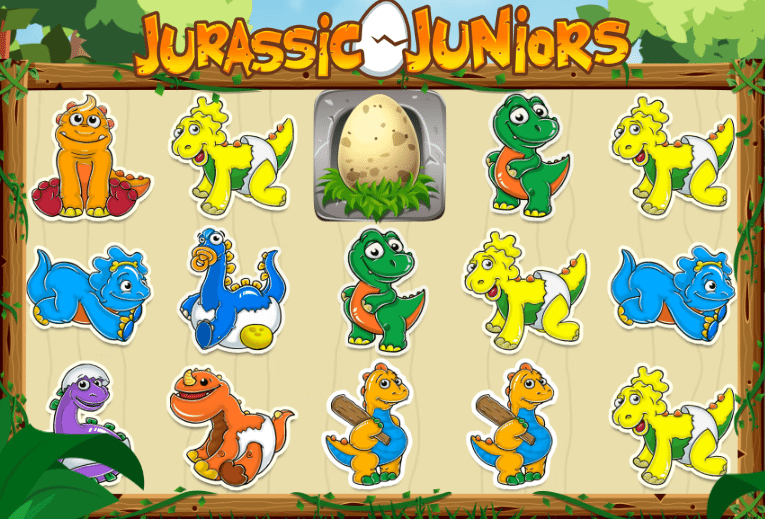 The Jurassic Juniors vary in age, and also vary in worth, and they can earn you anything from 2 – 900 coins for landing them on your reels. Look out for one still in nappies, and a really cute newborn, fresh out of its egg. Dinosaur mum – Someone needs to look after all these dinosaur minis, step up dinosaur mum, not only a figure of authority but also the all-important wild in this game. Like all good mums she’ll take the place of her kids at important moments and when she does she can get you that all important winning combination. Ever win she gets will also be doubled.